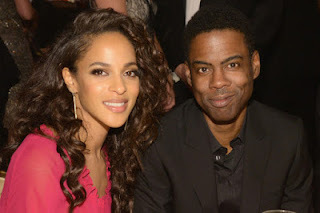 Chris Rock, a 49 year old actor and Host of the Controversial OSCARS, left his wife of 20 years Malaak Compton-Rock, in 2014 but reporsts suggests that he is seeing Nigerian/American actress who featured in TV Series 'Arrow' Megalyn Echikunwoke for a couple of months now. The couple was first photographed together in September at the Global Citizen Festival in Central Park, then they were both spotted when they escaped to St. Bart's witand again at the Clive Davis’ pre-Grammy bash on Sunday in Los Angeles. Megalyn's father is said to have Nigerian history. Furthermore, She has been tweeting about the upcoming Oscars and quoting Whoopi Goldberg's comments about not boycotting the Oscars. Rock has 2 children Lola, 12, and Zahra, 10, with Malaak.